We will provide you with a free estimate for tree removal at your home or business in Mooresville. There are many reasons you may need tree removal at your home or business in Mooresville, North Carolina. Whatever the reason, we want to help with all your tree removal needs. Here at Top Notch Tree Services, we provide a variety of tree services, including tree removal when necessary. When you give us a call, we will come to your property and look at your tree needs together. First, we will set up a time for a free estimate. We will come to your home or business and evaluate the health of your trees and whether there are any existing safety issues that need to be addressed. Together, we will create a plan of action for your property. Do you need tree removal? Some tree removal is for safety issues, but tree removal is also done for aesthetic reasons, like view clearing, and practical reasons, like building a new structure on your property. Once your job is scheduled, you can expect us to show up on time and perform the work as promised. Our owner is at every job, ensuring that things are done safely and correctly. We are fully licensed and insured, and we can work with your homeowner’s insurance when needed. 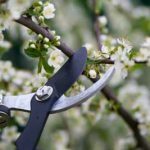 Beyond tree removal, we offer other tree service, including trimming, pruning, storm damage cleanup and tree restoration. Give us a call today if you have any questions or to schedule your free estimate.